In this weekend’s readings, a healed leper disobeys Jesus and spreads the news of his miraculous cure everywhere, impeding the Lord’s ministry. Why did Jesus tell him to be quiet about the healing? What is the role of miracles in the Jesus’ ministry, and in the life of the Church today? 1. The First Reading for this weekend’s masses was obviously chosen to provide the background for understanding leprosy as it was experienced by the Jews and other ancient peoples. This Reading comes from what I call the Cleanliness Code. The Book of Leviticus contains three major bodies of religious law or "codes": the Sacrificial Code (1-7), the Cleanliness Code (11-15), and the Holiness Code (17-26). In the system of Leviticus, all persons and objects were classified according to two categories: cleanliness and holiness. Something could be either clean or unclean, holy or profane. Only a clean thing could be made holy, and an unclean thing could only be profane. However, a clean object could be either profane or holy. 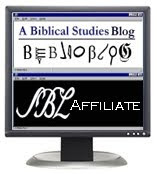 The whole legislation was a complex system of symbolism aimed at teaching about the contagious nature of sinfulness and the connection between sin and death. Skin diseases of all sorts were a major cause of mortality in the ancient world, especially in Egypt, the land from which the ancient Israelites escaped. In the Pentateuch, God gave Moses extensive instructions for the quarantining and observation of those afflicted with leprosy and other contagious skin infections. Obviously these regulations were for the good of the community: infected persons were a public health risk, and had to be kept separate. However, for the infected person, the experience was one of misery. Considered a threat to those around them, he was cut off from normal social contact, even with family. Moreover, he could not approach the sanctuary to worship (the sanctuary was the most public place, where the disease could be most easily transmitted), therefore he felt cut off from God. This religious dimension of leprosy/skin disease is often overlooked. Leprosy disrupted communion with both God and man. or to one of the priests among his descendants. by reason of the sore on his head. since he is in fact unclean. He shall dwell apart, making his abode outside the camp." 3 When I declared not my sin, my body wasted away through my groaning all day long. 4 For day and night thy hand was heavy upon me; my strength was dried up as by the heat of summer. The psalmist is experiencing physical effects of his sin: “When I declared not my sin, my body wasted away…” The “wasting away” of the body is a good description of the effects of leprosy. In the Scripture, it is clear that physical suffering sometimes is not the result of the sufferer’s sin (e.g. in the case of Job), but at other times it is the result of his sin (John 5:14; Romans 1:26-27). It is highly politically incorrect in today’s culture, however, to point out the physical effects of sin. Around 150,000 Americans are diagnosed with some form or stage of lung cancer each year. In part as a response, smoking is banned in all public places in Ohio. Many states have similar laws. On the other hand, 19 million new cases of STDs are diagnosed each year—the majority of these effect young women, roughly ages 15–30. Half of all sexual active (outside of marriage) adults in America will eventually contract a sexually transmitted disease. But are we going to get a ban on promiscuity? Is the government or the school system going to encourage self-control and marital fidelity? You know the answer. Sin also causes psychological dysfunctions—in fact, sin is itself can be viewed as a psychological dysfunction. It is an illness of soul that can manifest itself in illness of mind and body. The Psalmist hails the curative effects of confession. A forgiving God is able to heal body and soul. 3. In the Second Reading, St. Paul exhorts us to take into account the effect that our actions and example have on others. “Avoid giving offense,” St. Paul says. Therefore, it’s not enough to be “within our rights”—our deeds also have to build other people up. A classic example is the use of alcohol: there may be nothing wrong about enjoying a beer or glass of wine in moderation. However, when I worked in urban evangelism, I knew many pastors and lay ministers who would not imbibe at all, in order not to weaken the resolve of so many young Christians who were struggling to get free from substance abuse. Coming to Jesus, the man begs to be healed. The Lord is overcome with compassion and cannot deny the man his request, but warns him sternly to remain quiet, and go fulfill the law. Jesus may have had several reasons for this. He may have hoped to give witness to his identity to the Temple priests. Public authorities like the priesthood were not impressed with mass enthusiastic movements, but people quietly being healed and modestly coming to fulfill the divine regulations for worship—this would be more persuasive for them. Our Lord was strategic in his ministry. He knew that crowds were easily swayed and fickle. He spent the majority of his time and effort invested in a small group of men, his apostles. His public ministry with the crowds was more the opportunity to train his apostles than an end in itself. 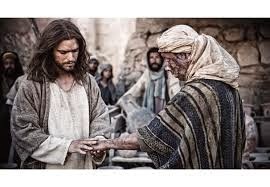 A leper came to Jesus and kneeling down begged him and said, "If you wish, you can make me clean." Moved with pity, he stretched out his hand, touched him, and said to him, "I do will it. Be made clean." The leprosy left him immediately, and he was made clean. The man went away and began to publicize the whole matter. He spread the report abroad so that it was impossible for Jesus to enter a town openly. He remained outside in deserted places,and people kept coming to him from everywhere. As a result of the disobedience of the man, Jesus becomes a “celebrity”—something he did not desire (cf. Matt 4:5-7). Instead of being able to preach in the synagogues, where the attention would be on the content of his teaching, he’s mobbed by curiosity-seekers who want to see another miracle (cf. John 4:48). Our Lord displays, throughout his ministry, an ambivalence toward working miracles. He often tries to keep them quiet, and at times seems almost reluctant to perform them. Perhaps because he knows that the effect of miracles is less than what people think. I saw a few miracles during my years doing urban evangelism. One middle-age man who had some contact with our church was dying of a severe lung disease in the local hospital. My co-pastor went up and baptized the man on his death bed in the ICU. Two days later, the doctors were unable to find any sign of disease in the man! Mystified, they released him, and for about three to six months he was the most faithful church-goer we had ever seen, showing up to the church most days of the week to help out, praying and studying the Bible, and playing the drums in our praise band (very enthusiastically, I might mention!) every Sunday. Yet after several months of this, he had a dramatic dispute with his wife in which he felt wronged, and we never saw him in church again. Last year I got in a long discussion with an atheist who had grown up evangelical and then left the faith. One of his objections to God's existence was that God didn't supernaturally reveal himself to everyone at once. He felt God would definitely do that if he really existed. As a matter of fact, there have been public incidents where God revealed himself openly. Besides the miracles recorded in Scripture, there are more recent events: the dancing of the sun at Fatima was witnessed by tens of thousands, and reported in secular papers. More recently still, the Blessed Virgin appeared publicly to over half a million people over the space of two years in Zeitoun, Egypt. See here. Despite the remarkable and public nature of these demonstrations of supernatural power, they did not lead to mass conversions. In response to my atheist friend, I would say, "There have been times when God has publicly, openly revealed himself in supernatural ways to huge numbers of people. But it doesn't make any lasting difference." Miracles can be a consolation to those who love God, but they don’t always bear the lasting fruit in people’s lives that we think they will. Just because you see something extraordinary does not mean you suddenly want to live a holy life. And if you don’t want to live a holy life, you will eventually find an excuse to walk away from God. The real leprosy is not external but internal. What keeps us separate from communion with God and others is not something outside of ourselves. Christ’s presence in the Eucharist—if we have faith—is able to change us this weekend, to heal the disease inside, to give us the love that thinks not of “our own benefit” but that of “the many” who surround us: our spouses, our children and parents, our fellow parishioners, co-workers, who also need our love and the healing that comes from Jesus. The irony is that the result of the leper's blabbing was to effectively impose a leper's segregation on Jesus! Another powerful message you have assembled for us, thank YOU! If I am the recipient of a miracle healing, I suppose it natural to want to tell my story, but what you encourage us to do here instead is the supernatural: to live Christ's story. To tell the story can be to give thanks and praise God, but to participate in Mass is to " ... merit to be coheirs to eternal life, and may praise and glorify you through your Son, Jesus Christ." Have a blessed Sunday, John. You're welcome, Jordan. Thanks for the comments, Joe. John, You write, "When I worked in urban evangelism, I knew many pastors and lay ministers who would not imbibe at all, in order not to weaken the resolve of so many young Christians who were struggling to get free from substance abuse." Would to Heaven this ethos would percolate into our Catholic seminaries. As you may know, many dioceses have been required to post the personnel records and documents related to priests involved in the scandal and I have gone through some of these. It makes miserable reading, of course, but one thing that dawned on me after a while was that in every case that I read about the scandalous incidents involved alcohol. So now we have elaborate bureaucratic procedures, compliance officers, mandatory periodic child safety courses for everyone involved in Catholic education, etc., etc., etc. but so far as I know there is no movement promoting the taking of the pledge among priests. Rather, so far as I know seminary education still does involve tuition in urbanity, an urbanity where drinking in moderation is expected and encouraged. After all, we are not Pelagians, and we know that our Lord and his disciples "came eating and drinking." Still, after all that we have gone through as a Church, and given the society in which we live, how bright is it for our priests and seminarians to STILL be imbibing a substance that lowers their inhibitions? No, it is time to pull back, abstain, do penance by not drinking until the all-surrounding hyper-sexualizing culture dies the death. Then drinking in moderation by our priests and seminarians may be reasonable. After all that has happened, it is amazing that no such movement to abstain from alcohol has arisen among priests, whereas at one time it was quite common. Of course, the above is premised on the majority of cases involving alcohol in fact, and that would require a separate study to establish satisfactorily, but at this point there is good reason to suspect it and to investigate further. But for myself, count me out. I've read quite enough, thank you. Join Us in Tyler, Texas, for "Why the Cross?"